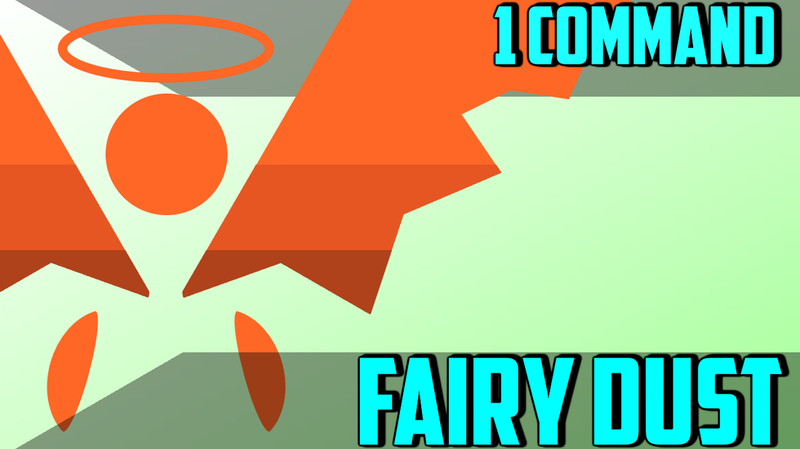 "Fairy Dust" allows you to become a fairy in Minecraft. Fairies cannot directly harm creatures, but their ability to fly and use fairy dust makes them very very powerful. -Throw an elytra, a glowstone dust, and an emerald on the ground to craft Fairy Dust. -Hold the fairy dust in your offhand to gain special abilities. -Dropping emeralds creates large explosions. -Dropping glowstone causes nearby entities to levitate. -Dropping a fire charge spreads fire around randomly. -Dropping a water bucket releases a powerful wave or water and squids. These squids will stop nearby mobs in their tracks. -If you have an Elytra, you can fly around if you use your wings correctly. -You cannot directly harm mobs. You can only use spells and bows. -Place the item in your main hand to become normal. This will consume the fairy dust. -If you are a fairy and you lose your fairy dust, you are cursed with being a fairy for eternity. The only way to break the spell is by getting more fairy dust and holding it in your main hand.